Opening day of the first of the 2018-19 Ohio deer seasons – Sept. 29 for bowhunting – is less than two weeks hence as you read this, and the last thing you may care about is how to manage the state’s deer herd in the next decade. Yes, visions of long-tined, heavy-beamed 10-pointers, rut-snorting in front of your stand, all dance before your eyes. Hope springs eternal. You can do a gut-check early next February, after the last day of bowhunting. But on that day, will you be you eagerly awaiting a taxidermy mount? Will you have a load of venison larded into the freezer? Or is it Hunger Moon for you? Did you see enough deer, or any? Did you get a shot? Was the “miss” your fault, or was it “those darn state deer guys” who were to blame? Such are the annual backstory issues that a brave group of disparate organizations and individuals were collected to tackle. Deer probably are the Big Single Issue in all of Ohio hunting concerns nowadays. Assembly of this group was orchestrated by the deer managers and administrators of the Division of Wildlife in the Ohio DNR. They are called the Deer Stakeholder Process Participants. Don’t let your eyes glaze over. As noted, these folks were brave, and good stewards, each willing to engage time and energy, and stick their necks out, over 15 months and five two-day sessions to thrash out differences, to learn, share, and strive to reach common ground. In this polarized day and age, this is huge. Lists sometimes are a bore, sometimes informative. But the Stakeholders’ list is informative, a sign that the Division of Wildlife was serious and professional in its intent. This was no white-wash, no rubber-stamp deal, no politically correct “exercise” for the optics. It was a science-based effort that culminated in a 57-page report that will weigh importantly in the 10-year deer management plan that the DOW’s managers are endeavoring to fashion for 2020. As proof of honest intent for diversity of opinion, check out the proverbial soup-to-nuts list of Stakeholders: Ohio Forestry Association, The Nature Conservancy in Ohio, OSU Extension, Ohio Farmers Union, Ohio Legislative Sportsmen’s Caucus, Ohio Wildlife Council, Ohio Department of Agriculture, private forestry consultant, Whitetail Deer Farmers of Ohio, Ohio Conservation Federation, Ohio Bowhunters Association, an outdoor writer, Whitetails Unlimited, Quality Deer Management Association, Ohio Farm Bureau, Buckeye Big Buck Club, Buckeye Firearms Association, social media, League of Ohio Sportsmen. 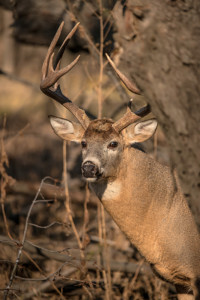 “The ODNR Division of Wildlife is working with a diverse group of stakeholders to develop a Deer Management Plan that will provide a 10-year framework for managing huntable deer populations based on historical perspectives, stakeholder interests and science-based management,” states the division website. The deer management stakeholders worked with professional SDM facilitators from the Ohio State University, College of Food and Agriculture, and Michigan State University, to work through critical steps of the SDM process. “Deer management is complex and the process used to engage stakeholders is well-suited for complex issues like managing Ohio’s deer and we encourage the DOW to continue using this process.” So said Stakeholders at the end of their charge. “I think that assembling the stakeholder committee was an excellent idea. 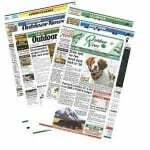 It brought together interested parties from just about all walks of life to the same table,” said Mike Rex, of Athens, the Ohio Wildlife Council’s liaison to Stakeholders. Surprisingly, he added, the insurance industry did not participate, though much is made every year about road-killed deer. The strongest support among these diverse interests was a sea-change from political-boundary management, county by county, to habitat management, or deer-management units. DMUs are the way to go, enlightened, and take deer management out of the Dark Ages. The proposed DMUs can be viewed in a chart in the Stakeholders report in the online reference above. Rex said that of the wide array of deer-management issues that the Stakeholders tackled, all interests unanimously supported the move from counties to deer management units. The Stakeholders, moreover, left little room for doubt that communication would go a very long way to improving deer management by removing obstacles and barriers to support for programs because of a lack of understanding. Indeed, one need look back only a couple of decades to the rightly discredited if sincere “district meeting” approach to fish and game issues. Back then, each March, hunters, anglers, and trappers attending a session would be given a chance to take a “straw vote” on rule proposals for the coming year. Those votes were essentially meaningless, carried no authority, and when widely diverse contingents were left unsatisfied, sportsmen saw their votes as a joke, that the “state” did as it pleased. It was a very flawed process. Tonkovich agreed that going to DMUs received overwhelming support. Boundaries follow major highways and features such as rivers. They are not confounding rocket science. Hunters in such states as Michigan and Colorado adapt to them all the time. Ohioans are just as smart. This new Stakeholders approach has a sound science base, was seriously attended, and should be taken seriously. It is a major achievement for DOW deer managers, the Stakeholders, and the rules-making Wildlife Council. A tip of the hat to all hands.